Yup. They’re exactly like the tea party. 47 year-old Richard Allen Fuller was arrested at the Occupy Portland squatters camp yesterday after he smashed in the windows on a police car with a hammer. On Tuesday November 8, 2011, Portland Police officers assigned to Central Precinct arrested 3 people and recovered another stolen bicycle at the Occupy Portland encampments. 57-year-old Steven Daniel Linn and 37-year-old Mayty Melinda Clevenger were arrested for Drinking in Public. 47-Richard-Allen Fuller was arrested for Criminal Mischief in the Second Degree after he damaged a marked Gresham police car by smashing out a window with a hammer. The patrol car was parked on Southwest 3rd Avenue, next to Chapman Square. 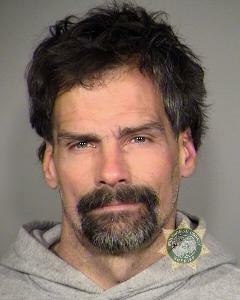 All three were booked into the Multnomah County Jail. Officers also recovered another stolen bicycle in the encampment. The bike was stolen in a burglary from Performance Bicycle. Crime is up 18% in the area since the Occupy goons moved in.